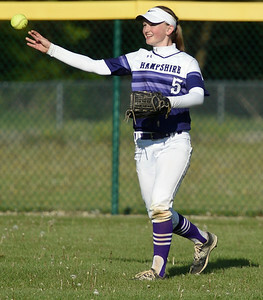 Kayla Wolf for Shaw Media- Hampshire sophomore Sarah Bowen throws a ball into the infield Saturday, May 6, 2017, during a tournament held at Marengo High School. Hampshire had won the previous two games it played in the tournament. 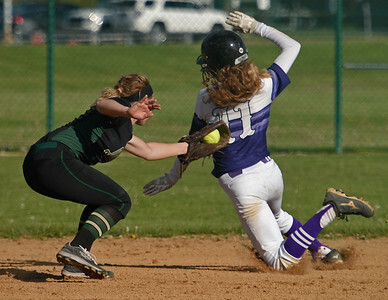 Kayla Wolf for Shaw Media- Hampshire sophomore Morgan Haefling attempts to avoid the tag by Bishop Mac second baseman Tonya Faulkner . Bishop McNamara won 6 to 2. Kayla Wolf for Shaw Media- Marengo sophomore Lauren Aubry hits the ball Saturday, May 6, 2017 during a tournament hosted at Marengo High School. Marengo won over Bartlett 13 to 1. Kayla Wolf for Shaw Media- Marengo teammates, from left, Emily Atchison and Anna Walsweer. 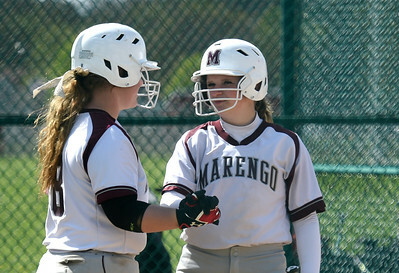 Marengo won 13 to 1 over Bartlett. Kayla Wolf for Shaw Media- Bartlett junior Amber Pagan misses the throw to tag out Marengo senior Rachel Jasinski Saturday, May 6, 2017, as she steals second base. 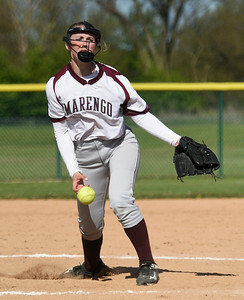 Marengo won 13 to 1. Kayla Wolf for Shaw Media- Marengo junior Riley Connell pitches Saturday, May 6, 2017 at a home game. 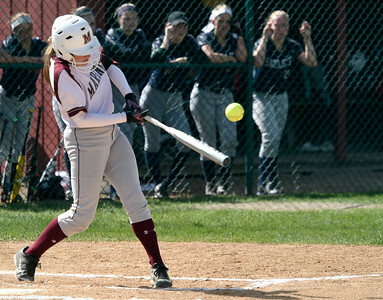 Marengo won 13 to 1 against Bartlett. 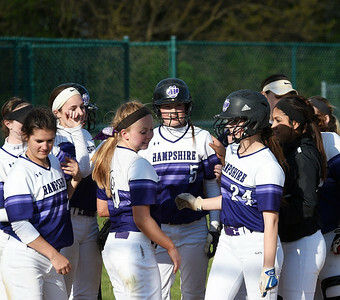 Kayla Wolf for Shaw Media- Hampshire sophomore Sarah Bowen,5, walks off the field after being embraces by her teammates Saturday, May 6, 2017, after hitting a homer. 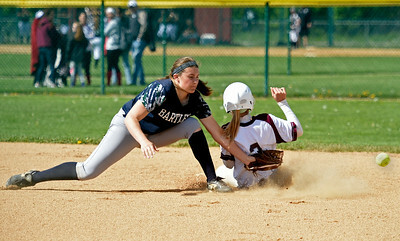 Hampshire lost to Bishop McNamara 6 to 2.